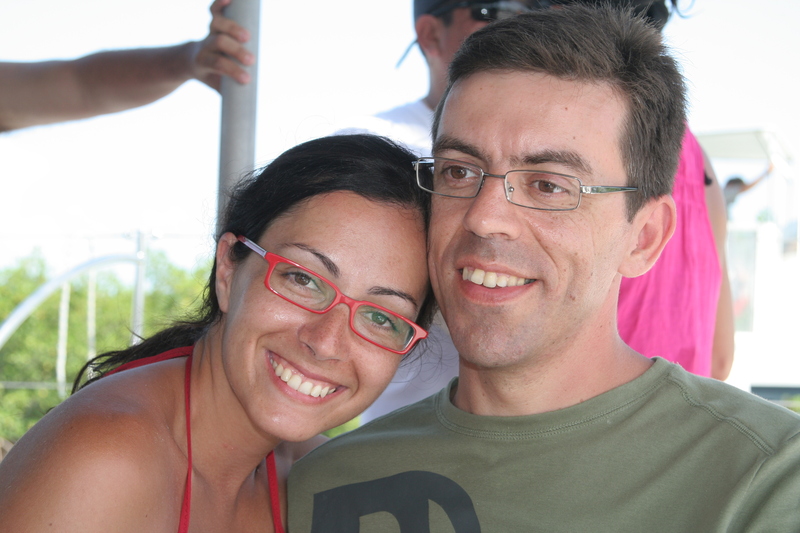 It’s my husband’s birthday today and that was my inspiration to write this post. It’s not a review, but it was due to his birthday that I discovered an intriguing JAFF book, so I decided to write and share with you, the story of how I discovered this book. I had thought about the perfect present for him and knew I could only buy it downtown. But going to downtown on a Friday afternoon sounded a total nightmare! The traffic would be crazy and I could forget about parking anywhere near the shops I had to go, so even though I drive everywhere since I got my driver’s licence 2 years ago, this time I decided to take the subway. It had been a long time since I had taken the subway, and I had forgotten about the book shops they temporarily place over there. Just like old days, while descending the stairs to the subway, I couldn’t resist so many books asking me to read their stories so I entered the shop and started looking around. I saw some of Colleen McCullough’s books and remembered I had really liked The Thorn Birds and Tim, so I decided to look closely to see if any of the books for sale would be a good birthday present to my friend Natacha. 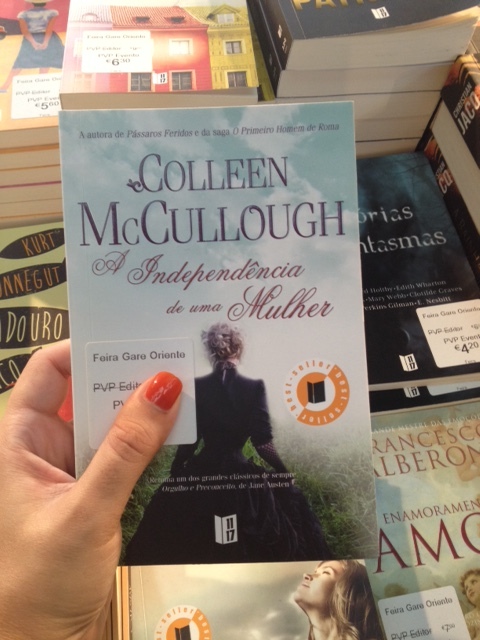 I like to offer her books with strong, independent female characters, so the one called A Independência de uma Mulher caught my attention. The book was translated to Portuguese and if we make a literal translation of the title it means The Independence of a Woman, however, the original title is actually The Independence of Miss Mary Bennet!! This book is a sequel of Pride and Prejudice that starts 20 years after Elizabeth’s marriage to Mr. Darcy and tells us the story of Mary, who becomes the heroine in this book. I’m not sure if you knew Colleen McCullough wrote JAFF, but I didn’t! I never expected the author of The Thorn Birds to also write JAFF so that was a very pleasant surprise! Apart from that, the book is translated to Portuguese, so I’ll get a chance to read a JAFF book in Portuguese! That is so rare I had to buy the book for myself! I think I’ll have to apologise to Natacha for that 🙂 And I’ll have to thank my husband! If it wasn’t his birthday I would never have discovered this book. Now that I have probably bored you with the story of my discovery of The Independence of Miss Mary Bennet, I’ll just take this opportunity to ask you to join me in wishing my very own Mr. Darcy a happy birthday! He doesn’t own an Estate in Derbyshire, but he owns my heart! What a lovely book-finding the story! I love the happenstance of it all! And happy b-day to your hubby!